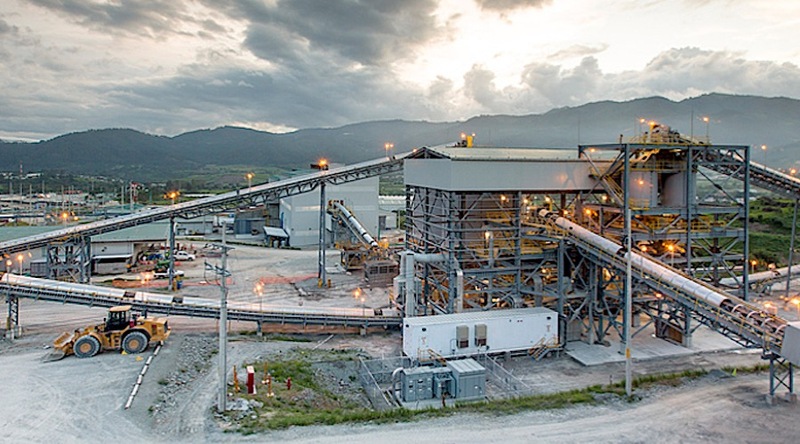 Tahoe Resources (TSX:THO)(NYSE:TAHO) lost $18 million, or 6 cents per share, in the fourth quarter of 2017 due to the ongoing shutdown of its flagship Escobal silver mine, in Guatemala. The Reno, Nevada-based company said adjusted loss was $17.7 million, which dramatically contrast with the $18.4 million profit logged a year ago. Net earnings for the whole year were also affected, with the miner posting $81.8 million, or 26 cents per share, down from $117.9 million, or 41 cents, in 2016. Despite the challenges posed by the Escobal mine suspension, Tahoe achieved record gold production of 445.900 ounces in 2017, at the high end of its annual gold production guidance range of 400,000 to 450,000 ounces, which was revised upward in September. Company remains optimistic that, based on legal precedent, the Guatemalan Constitutional Court will issue a favourable ruling reinstating the Escobal mining licence. For the whole year, Tahoe posted a silver output of merely 9.9 million ounces, which reflects the impact of halt at Escobal, which has been shut since July 2017 after Guatemala’s Supreme Court provisionally ordered so following an appeal from environment and human rights organization CALAS. Tahoe says the Guatemalan Constitutional Court heard appeals of the Supreme Court’s decision to reinstate the Escobal mining license on Oct. 25, but has not issued a verdict of its own despite being required to do so within five days of the public hearing. Last month, the company said it would have to lay off 250 employees, or roughly a quarter of the staff at Escobal, the world's third largest silver mine. Tahoe, however, said it remained positive about a resolution of the issues affecting the operation. “We remain optimistic that based on legal precedent, the Guatemalan Constitutional Court will issue a favourable ruling reinstating the Escobal mining license,” the company’s President and CEO, Ron Clayton, said in a statement. Escobal, an underground operation, began commercial production in 2014 and, in 2016, produced a record 21.2 million ounces of silver in concentrate. Prior to the licence suspension, it employed 1,030 people, 97% of whom are Guatemalan, with at least half of them from the Santa Rosa region. But Escobal has also been a source of polemic. Last summer, protesters blocked access to the mine, delaying shipments and supplies. Tahoe is also facing action in Canada’s court system by a group of Guatemalan for alleged violence at a protest outside Escobal in 2013. If the court decides to reinstate the licence in the next few weeks, the need for additional job cuts could be eliminated, the company has said. Shares in the company were down almost 4.4% in Toronto at noon, trading at Cdn$4.92. A year ago, the stock was worth Cdn$11.56.